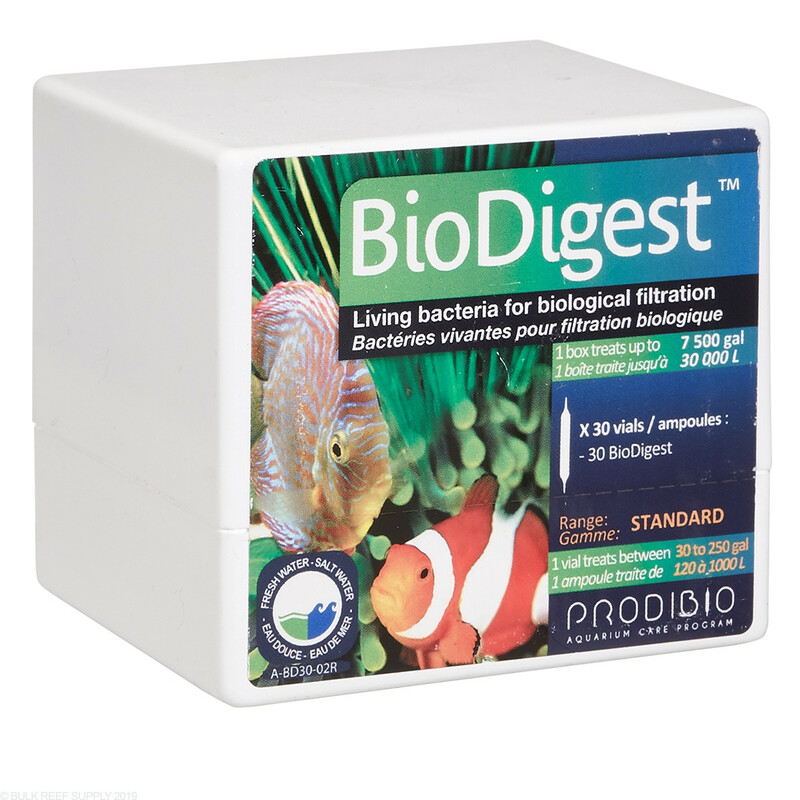 BioDigest is a natural mixture of live bacterial strains to help reduce and remove nitrates and phosphates through bacterial digestion. Utilizing a wide mixture of heterotrophic bacteria that work together to start the conversion process and then other strains of bacteria that will be able to finish the nitrogen cycle into elemental nitrogen. 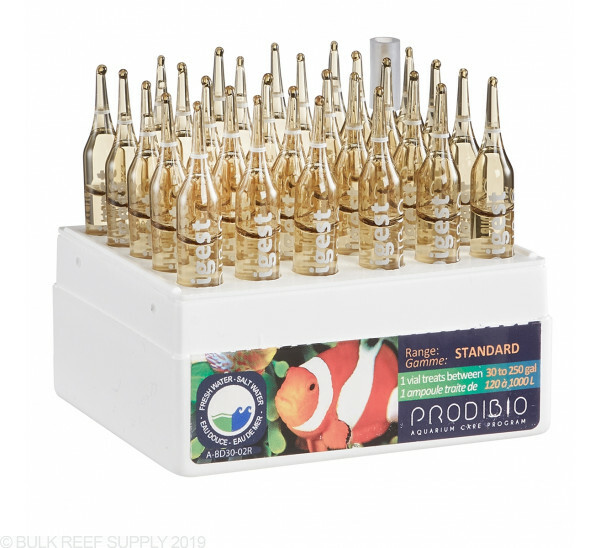 The concentrated mixture will effectively eliminate waste from your aquarium through a biological filtration process, leaving your aquarium with cleaner water that will greatly increase the health of your saltwater aquarium. 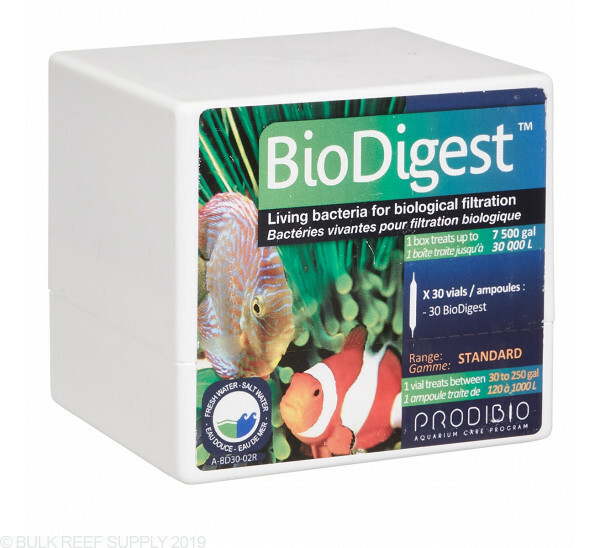 I was referred to this product to help keep my nitrates and phosphates low enough to prevent algae but high enough to promote great coral. It works great and I no longer need GFO or NOPOX. Just add one vial per week. I started using this dosing with Bioptim and I haven't looked back since. It's been worth every penny. Predictable carbon dosing at its finest. 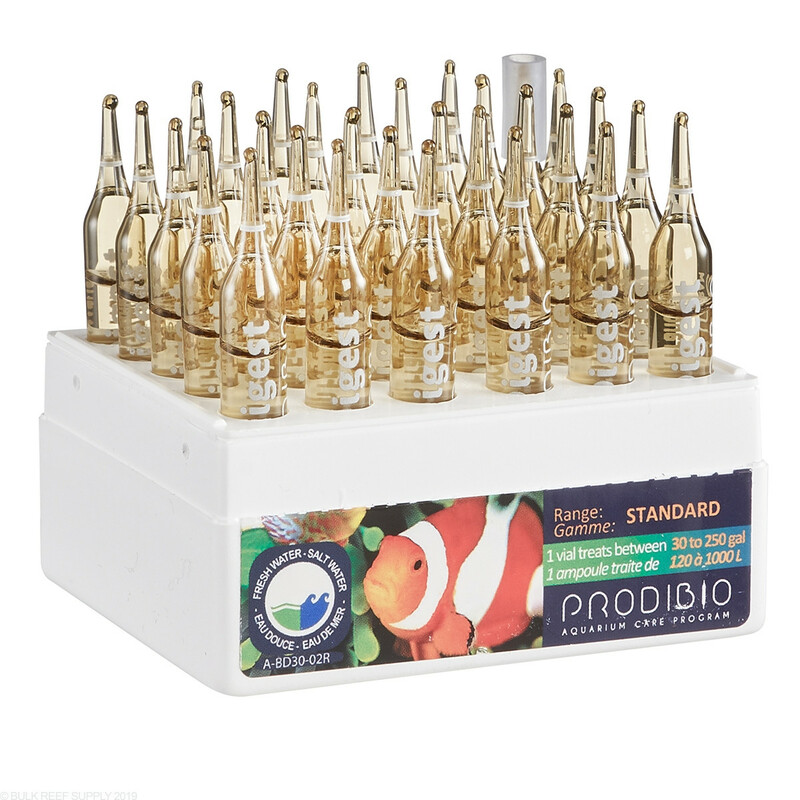 Please have a solid understanding on how to run a low or ultra-low nutrient tank as Prodibio has the goods to deliver. I prefer the BioClean package for its combined bacteria and food with serious money-saving value. I'm thinking of using this to startup a 5-gal reef tank. This kit includes ammo stop and biodigest. 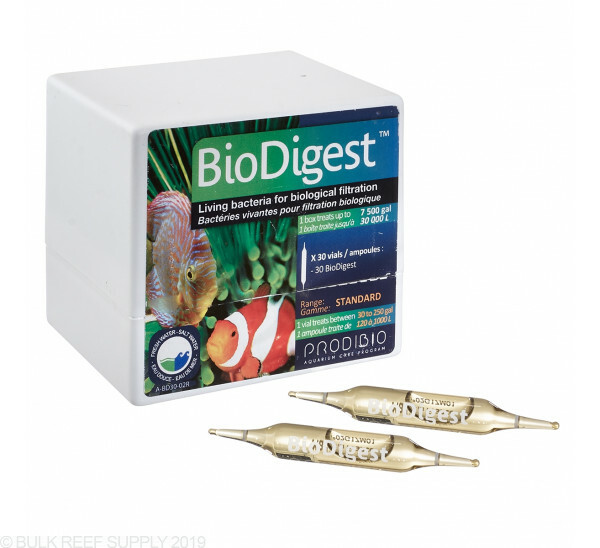 If this kit stops ammonia, what will feed and grow the bacteria during initial cycling? Can you explain how this kit works? thanks. The tank size range for standard dosing 1 vial/15 days is pretty big (30-264 gal). I'm planning on using this on the lower end of that range, 34 gal reef. Would I still dose 1vial/15 days? Or should I scale the dose back to 1/2 or 1/4 vial. Is there a consequence of overdosing? Thank you for reaching out to Bulk Reef Supply! This is a great product for reducing and controlling nitrates as well as phosphates! It is recommended to dose 1 vial every 15 days and is very user friendly. I hope this was helpful. Please reach back out if you have any further questions!